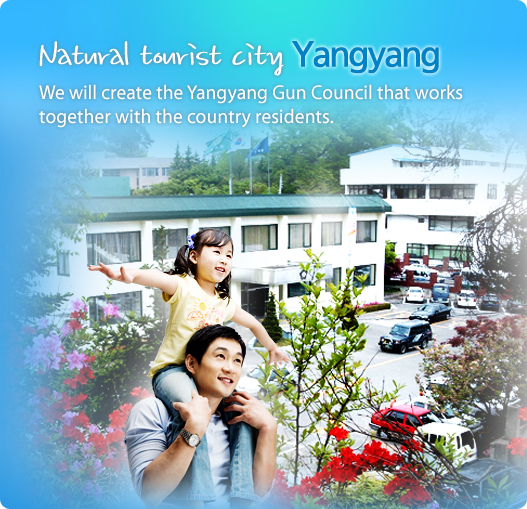 Dear Yangyang-gun residents! Hello. We sincerely welcome you visiting to our Yangyang-gun website. I deeply thank you for your support and interests about our new launch. We will make our best efforts to to represent the voice of the people and to realize the regional development in .. Copyright 2012 by yangyang county council All right reserved.